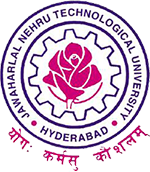 JNTUH B.Pharmacy 1-2 Sem (R17) 1st Mid Exam Time Table March 2019, jntu hyderabad Timetables for B.Pharm IYear II Sem (R17) I-Midterm Exams March-2019. JNTU Hyderabad has announced B.Pharmacy 1-2 Semester (R17) 1st Mid Examination Time Table March 2019. WHAT ABOUT r13 Supply RESULTS FOR BPHARM 1st year???????????????????????????????????????????????????????????????????????????? ?